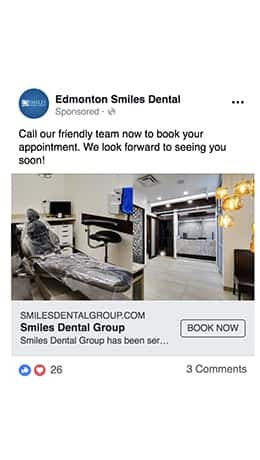 Smiles Dental Group has many full-service dental clinics in and around Edmonton. 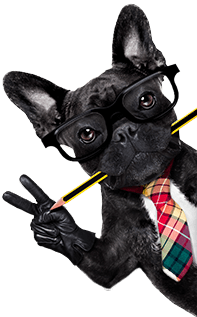 With multiple services, excellent customer service, and a highly trained staff, it’s no wonder that they have built a thriving business. 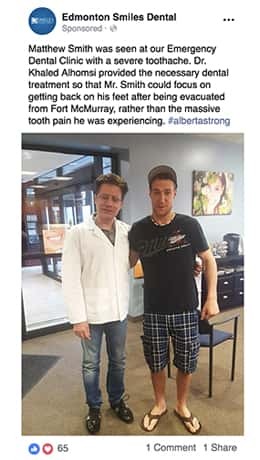 They value both building relationships with patients and giving back to the community, which has made them an asset to the Edmonton area. 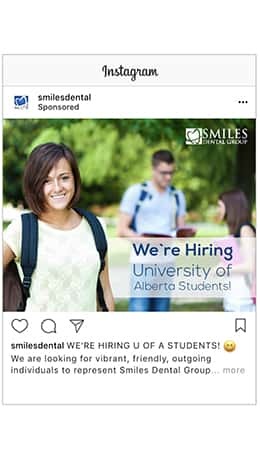 We began working with Smiles Dental in late 2015 when they hoped to open up a clinic that could provide affordable dental services to students and staff of the University of Alberta. 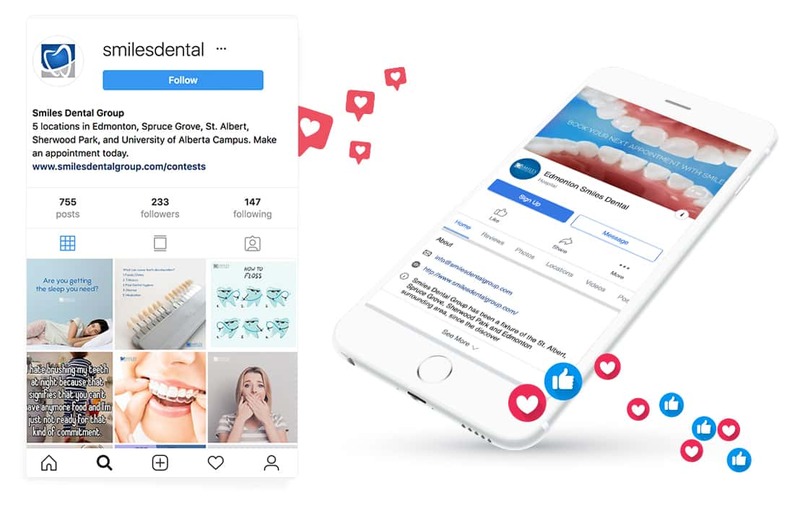 With the opening of their new clinic, Smiles Dental wanted to raise brand awareness and get the community excited about their news. 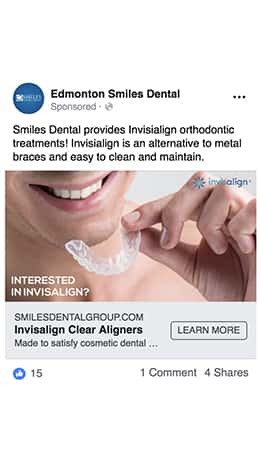 Since starting with us, Smiles Dental has run successful media campaigns that grew their patient base. 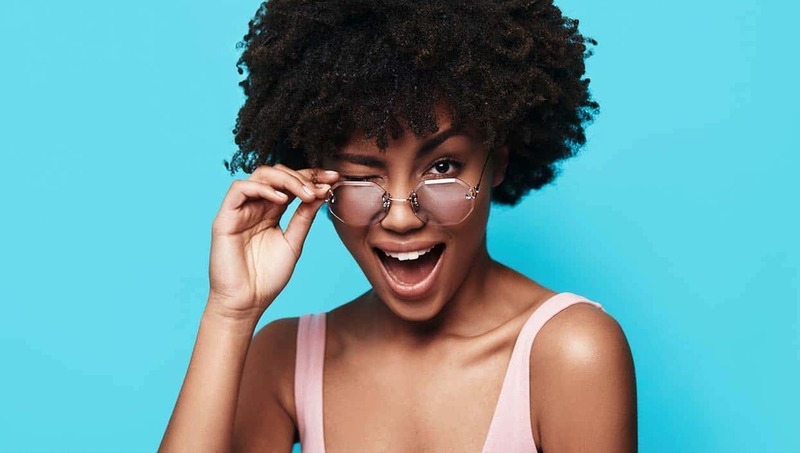 We launched a successful campaign that encouraged new clientele with giveaways, special discounts, and financing options. In 2016, we assisted Smiles Dental in donating to a worthy cause – the MS Foundation. We used video and social engagement to tell a heartfelt story of a local patient. 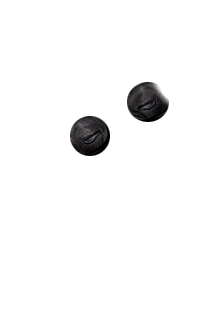 This campaign raised a $3,000 donation. 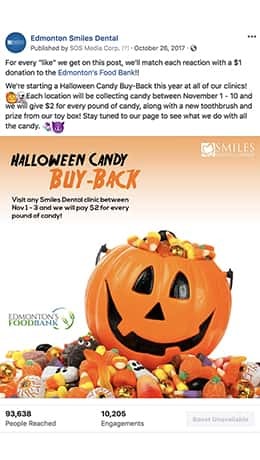 During Halloween 2017, Smiles Dental knew how much damage sugary candy could cause to teeth. Together we partnered with the Edmonton Food Bank to create a Candy Drive for people to donate their leftover candy. 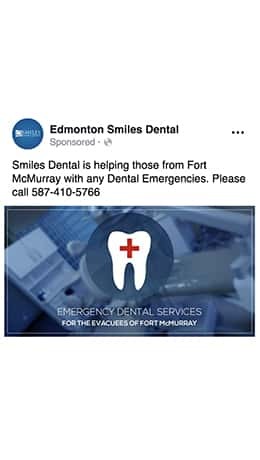 Through awareness on social media, Smiles Dental matched the donations and successfully donated $5,600 to the Edmonton Food Bank. 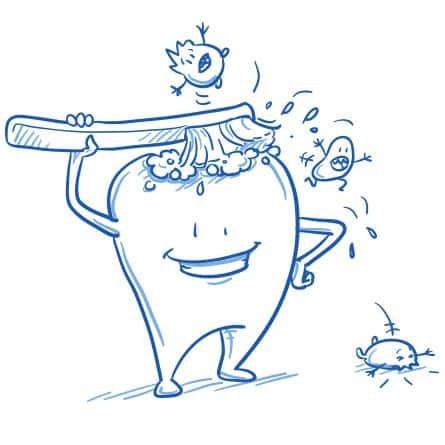 We are proud to continue working with Smiles Dental Group in creating more charitable campaigns.